Join Us Tonight! Monday’s 8:00 PM (MST) (Weekly) MMF in Action! Update/Training Call! | Micro Daily & Protein Daily in ACTION! Join Us Tonight! 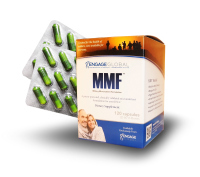 Monday’s 8:00 PM (MST) (Weekly) MMF in Action! Update/Training Call! Posted on April 14, 2015 by Micro Daily & Protein Daily in ACTION!